Top: "On the Trail from Kanre", watercolor, 12" x 17". 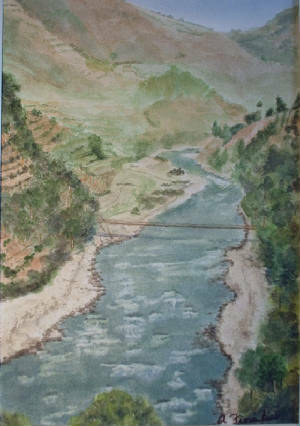 Below: "Suspension Bridge, Nepal", 14" x 9.5". 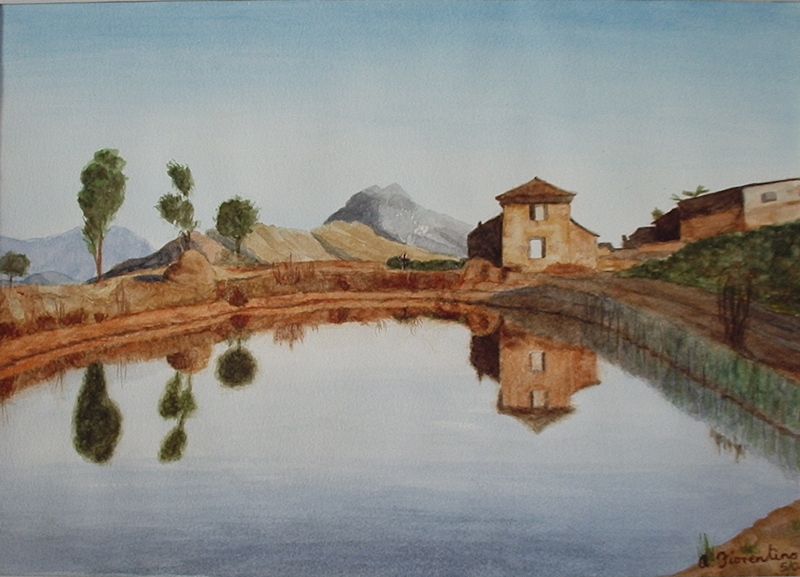 These two watercolors were from photos I took while trekking in Nepal in 1981. (I'm only just getting around to making paintings from the many photos I took 27 years ago!) Our trekking party walked over that rope bridge, not without trepidation. 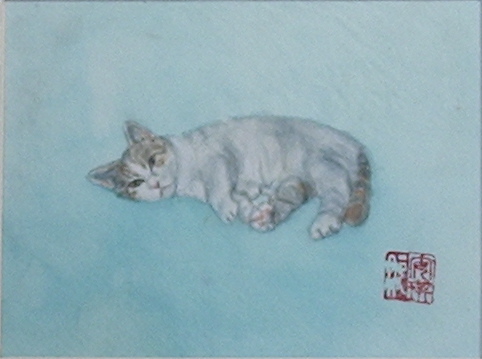 "Captain Kirk", Chinese brush painting on silk, 5.5" x 7.5". A quirky New York cat who likes to sit on an outside window ledge, 10 stories up. He has an Oriental air, so I painted him on Chinese silk and signed it with my chop mark.